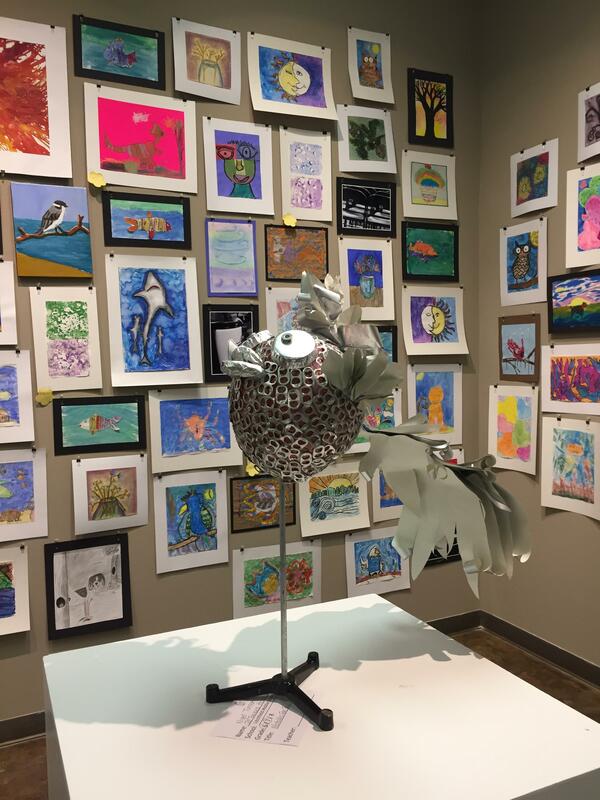 Gadsden, AL- On First Friday, April 7th the Gadsden Museum of Art will have a reception for three current exhibits: Founders: Peggy Gillam and Sara Reaves, Selfies by Kathryn McGinley, and our 2017 Student Exhibition featuring over 400 works from Etowah County and City Schools. Founder’s features work from two local Gadsden painters, now deceased that were part of the foundation of art in our community. The work has been donated by the artist daughters Clare Michaels and Amy Reaves. During the show work will be available for purchase. Selfies by Florida artist Kathryn McGinley is a collection of contemporary portrait paintings that acts as a commentary on our own personal relationship with social media. Selfies will be on display until April 28th. The 2017 Student Exhibition features work from city and county schools K3 to 12th grade. The closing will be on the night of the 7th and parents will be allowed to pick up the work from 7 until 8 p.m. but are not required to stay the whole time. Prizes will be awarded at 6:30 p.m.